20th October Newsletter and PTFA AGM Minutes, Norovirus Fact Sheet. Following on from our Fire Safety Talk for children in Year Two and Year Five last week, Devon Fire & Rescue will fit a free 10 year smoke alarm in your home - FOR FREE! Phone 0800 05 02 999. 22nd September Newsletter is below. Please see the flyer from the Harbour Project requesting useful donations for our Harvest Service next Friday 29th Sept.
Are you interested in teacher training in North Devon? Please read through the flyer from our Co-operative Trust, attached. Come and speak to Mrs Tuohey or myself if this is something that interests you. 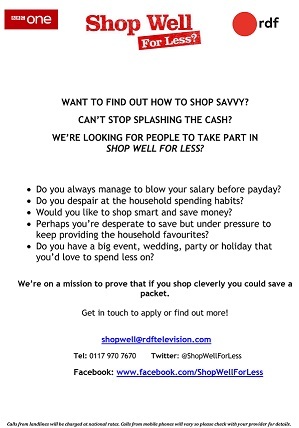 The BBC have contacted us to see if any parents would like to take part in a new series to save money on your shopping, please see attached.